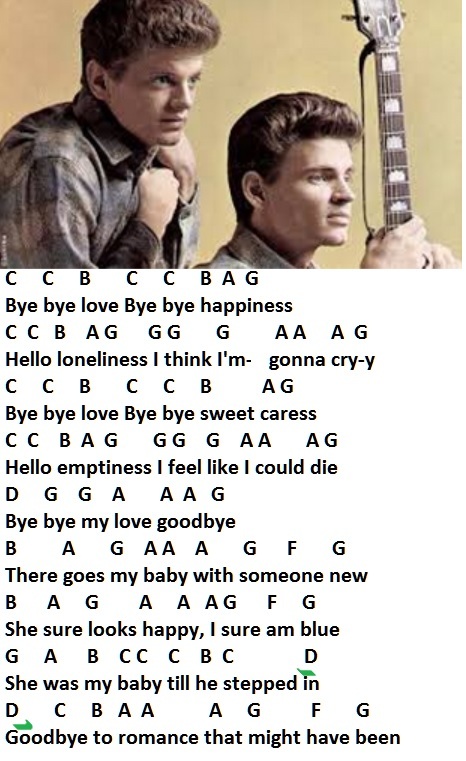 Bye Bye Love Tin Whistle Notes. - The Everly Brothers. Written by Felice and Boudleaux Bryant. The high D notes are marked in Green on the easy to read letter note version. Also included is the banjo / mandolin tab.